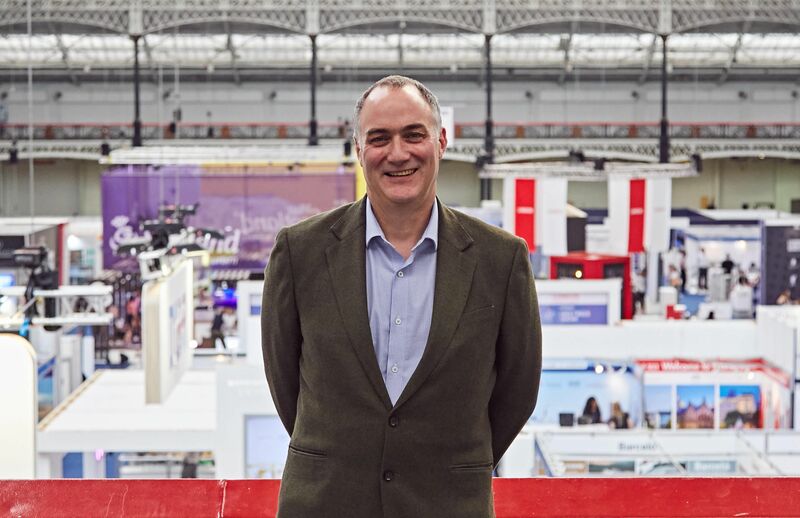 Europe’s pre-eminent gathering of its type, the Business Travel Show, is back at London’s Olympia in just over two weeks’ time. We are celebrating our 25th anniversary. The past quarter century has been quite a journey and, at the show, we will be looking back at travel over the past 25 years, but also focusing on the future with this year’s show theme: Travel 2022. We are launching the WonderLAB, where visitors' eyes will be opened by futuristic exhibits. And there will be other cool innovations, from the entrepreneurs determined to shake things up in this year’s Disrupt Launchpad and Awards, and the forward-looking, thought-provoking sessions in our conference programme. Innovation is one of the main reasons buyers attend the Business Travel Show. Everyone wants to know what’s new and how it’s going to improve the industry, their jobs and the traveller experience. They will find a whole bunch of entrepreneurs with businesses under three years old in the Disrupt Launchpad. One of last year’s exhibitors and the winner of the Disrupt Award – TroopTravel – has just been voted ‘one to watch’ and will be returning to update us on the past 12 months. There are 12 exhibitors in this year’s Disrupt Launchpad, including Air2E, with its fleet of twin-engine, six-passenger business aircraft that operate at a lower emission rate than a standard plane, and HelloJet, which lets companies charter aircraft themselves without the need for special knowledge or access to the base price. Innovation is at the heart of our conference programme, too, particularly in our technology-focused sessions. If you visit www.businesstravelshow.com/whats-on/conference-programme you can filter by technology to find the right sessions, whether that’s about bots, traveller profiling or virtual payments. Our educational sessions always reflect what’s happening – and what is likely to happen – in the industry that will impact travel managers’ jobs. It covers everything from traveller safety and security to new technology, distribution, data, personalisation, forecasting and Brexit. Of course, Brexit remains a huge issue for the travel industry, despite remaining in such a state of flux. Assuming it goes ahead, it could affect where and how airlines operate, may increase travel costs thanks to currency fluctuations and the performance of sterling, and might impact how travellers move between countries, as well as change the process for visa and passport applications as well as other travel documentation. Perhaps in this world of IT the effect will be nominal? It was cited in the Business Travel Show buyer survey as the biggest challenge facing buyers this year and forecast to continue that way until 2022 at the earliest. Second to Brexit was ‘managing rising costs’. This year’s survey showed that fewer budgets appeared to have grown compared to last year – 33% versus 40%. However, we have been carrying out this survey for nearly 10 years and it’s important to view this in context. Last year’s 40% rise was extraordinary. In 2015, 2016 and 2017, the increases were between 29% and 32%, so I don’t think we have too much to worry about. Of course, the show is a great place to source new suppliers and negotiate with suppliers. We’ll have more than 260 exhibitors at the show, including Air Astana, Air Canada, American Airlines, British Airways, Cathay Pacific, Delta, Finnair, Flybe, flybmi, Iberia, Japan Airlines, Kuwait Airlines, LATAM, Lufthansa, Luxair, Malaysia Airlines, oneworld, Qantas, Qatar, Royal Jordanian Airlines, RwandAir, S7 Airlines and Singapore Airlines. One last thing – if you have just one day at the show, then my advice is to plan. Know exactly why you want to attend – what do you want to get out of your one day? Check out the conference programme and block time out to make sure you can attend the sessions that will really help you. Check our exhibitor list – you can filter this, too, to find who’s right for you – and make appointments with as many suppliers as possible through the online diary. And then leave an hour for networking and to give you the chance to discover things by chance.